In Colorado Springs, CO, Apex Sports--Dennis is the Wing mechanic and he's great. In beautiful Victoria BC, I would go to Victoria Motorcycle and see the mechanic there. He's worked on my 1100 and I have no complaints and the shop is very customer friendly. Note I said the shop as the mechanic is a bit of a social handgrenade and I think he prefers the company of the motorbikes to his fellow men sometimes and maybe thats what you want . The Best. I do almost all my own wrenching but these are the guys to go to for sure. Goldwing specialist and trike builder, and all around good guy, IMHO. Cheap, poorly made junk will never cease until people stop buying it. So we never found a good Wing guy in the Dallas area? 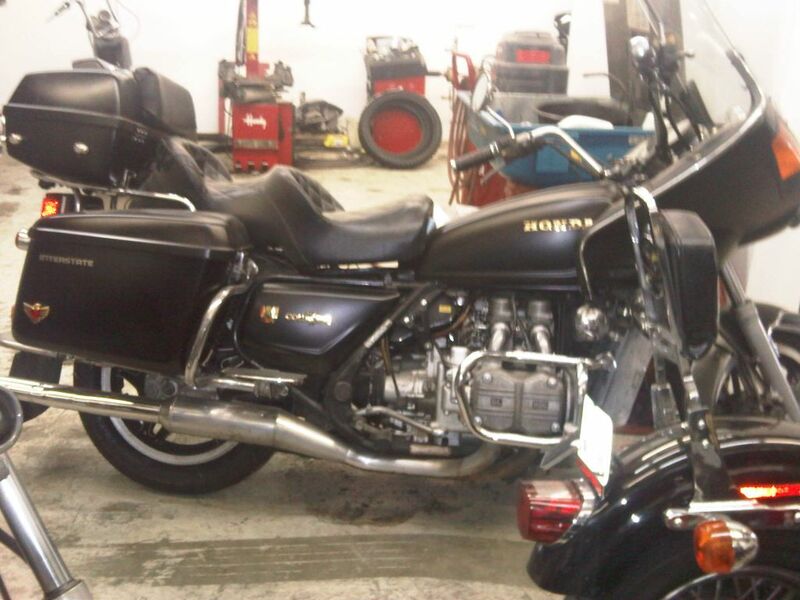 Darth Vader traded in his Tie Fighter for a Black, (FASTEST COLOR) 1980 GL 1100! I am your father, Luke. Muah!! I concur in Des Moines, the Cycle Clinic. Only ones I will let touch my bike.Â* Small enough shop with excellent mechanics.Â* Never been disappointed. I used them years ago but was surprised to see garvis Honda beat their prices for services like timing belts and fork seals. I didn't end up using garvis though so can't speak to how their service actually is. wing-doc = Ebay screen name please look at my feedback. It not what you ride or how you ride. Its that you ride!